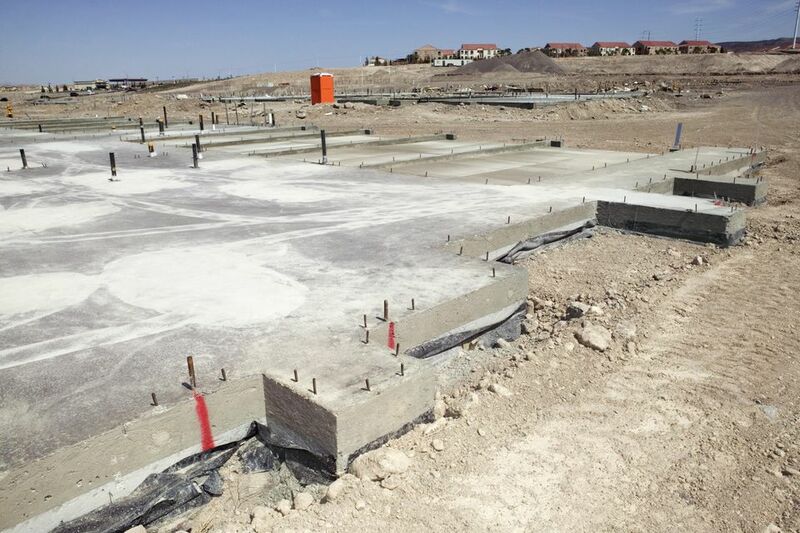 News from Kansas provides a harsh reminder that building codes are often inadequate, at least when it comes to requirements for concrete slab foundations. According to the Wichita Eagle, six homes in a Wichita subdivision have slab foundations that are failing, causing the houses to sink, crack and become unlivable. What makes this story particularly sad for the homeowners is that these homes complied with the city's building code. Houses "built to code" that started falling apart, forcing some of the owners to spend tens of thousands of dollars to repair the damage and fix the errors. So, what were the errors? They primarily came down to building on clay soils with poor drainage and the lack of a requirement to use steel reinforcement bars (rebar) in the concrete. Now, as pointed out in this article on concrete slabs for garage floors, it is possible to construct a sound slab without reinforcement "with proper ground preparation, a good concrete mix, and sufficient expansion joints." It is also possible to build houses over unstable soils; provided steps are taken to stabilize the soil or adjust the foundation accordingly. It seems that the building code in Wichita did not require such steps. The soil in the development was not tested and analyzed thoroughly, nor was steel reinforcement required in the slab. Put those two ingredients together, and you take a big risk building a concrete slab that meets minimal code requirements. As an architect who investigated the problems noted, "Everything went wrong that could go wrong." Since the houses were constructed following the minimal code requirements, the developers, builders and local building inspectors were not negligent, at least legally. Consequently, the afflicted homeowners were stuck with the bill for repairing their houses. Seems mighty unfair, but "buyer beware" is often just as necessary when buying a house as when buying a used car. The proposed changes to the building code will require soil testing and stronger foundations, and building inspectors will be required to study soil conditions on building sites more carefully. It's unfortunate that it often takes a failure to shed light on sloppy practices. But this story reinforces the belief that many people in the construction industry have about building codes; that they establish minimal expectations, not optimal standards. Sometimes, building "to code" just isn't good enough. So, if you are thinking about building a new garage or house, or contemplating buying an existing house, don't be fooled by the notion that "to code" means you are getting the best you can buy. Be prepared to do some research, ask hard questions and hunt around for second and third opinions. Getting stuck with a repair bill for $80,000 in a house that cost only $141,000, as happened to one of the Wichita homeowners, is a high price to pay for not making that effort. How Long Is My Building Permit Valid?